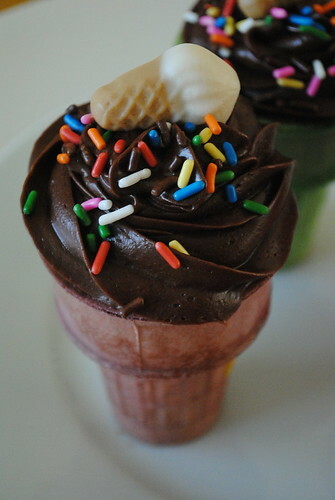 Ok, so we here at Cupcakes Take The Cake are always on the look out for cupcake innovation. We have seen savory cupcakes, cupcakes in jars, stuffed cupcakes and more. 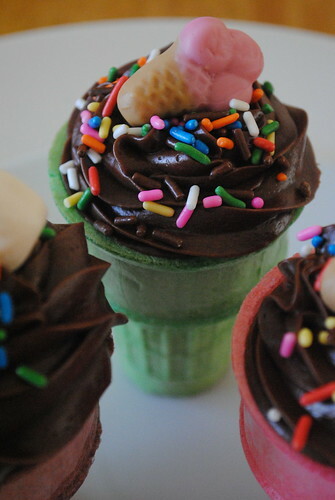 It may seem like ice cream is a summer food, but ice cream cone cupcakes are for any day of the day of the year. Juli Jacklin is a creative baker who made these below.